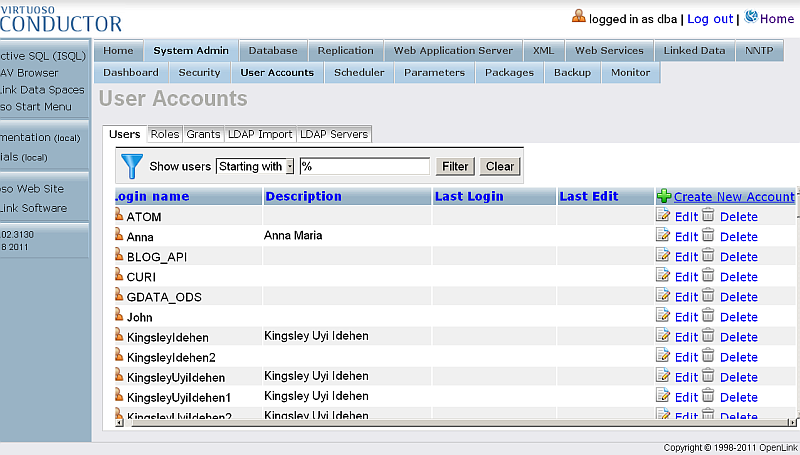 SPARQL endpoints are easy for random visitors to accidentally overload. 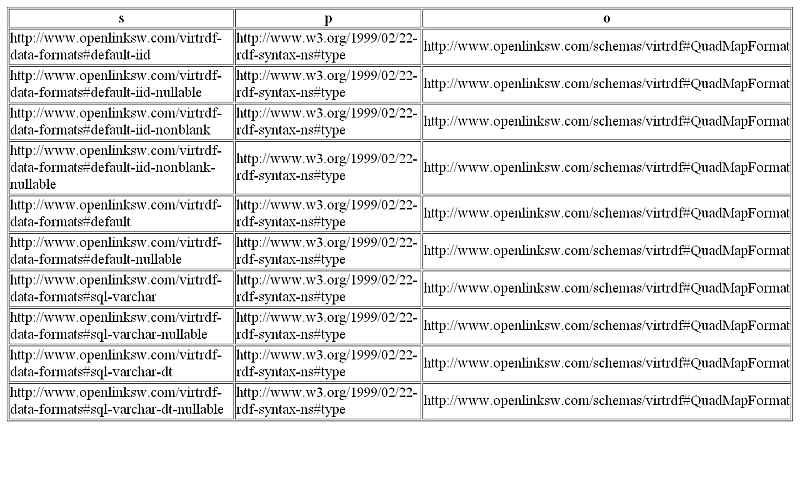 Virtuoso allows you to secure your SPARQL endpoint against such abuses in various ways, including OAuth. Go to http://<cname>:<port>/oauth/, where <cname>:<port> are replaced by your local server values. The OAuth application registration form will be shown. 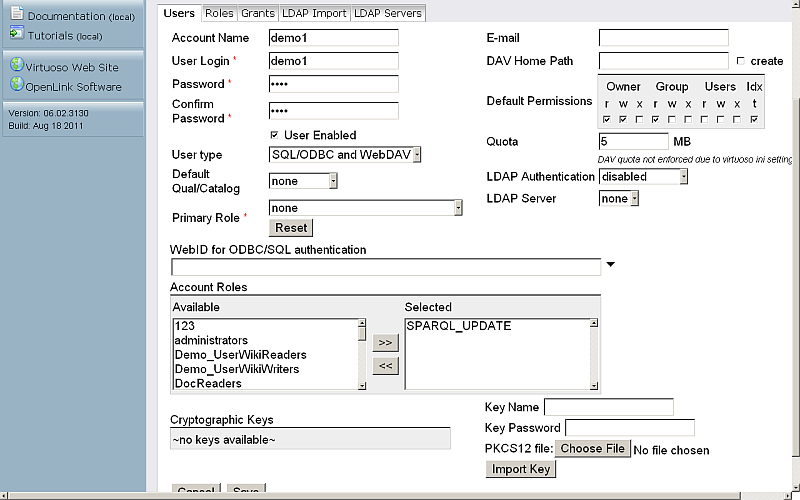 Select SPARQL from the "Application name" list, and click the "Generate Keys" button. Click the "Back to main menu" link. 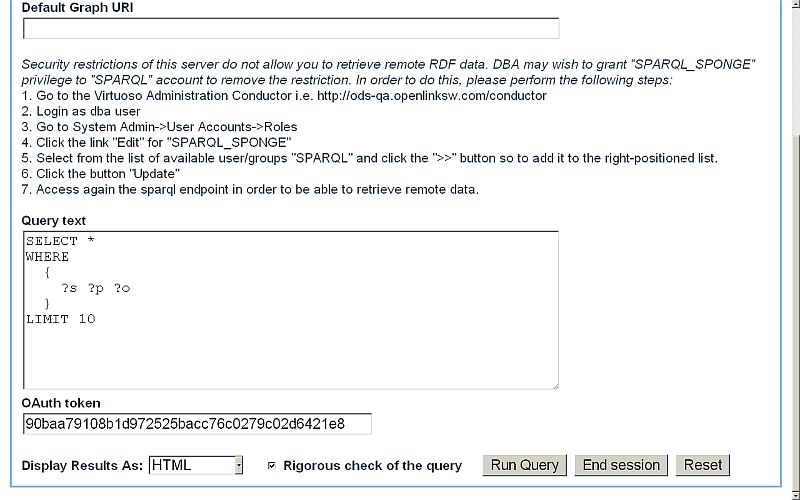 Click the "Protected SPARQL Endpoint" link. 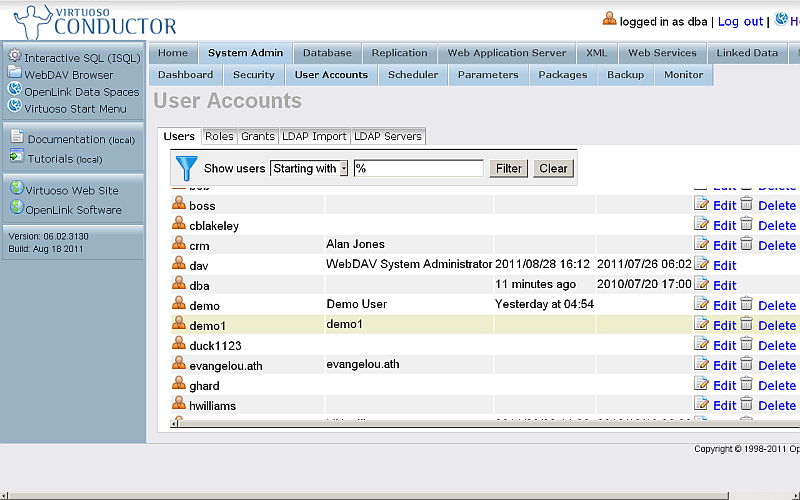 Click the "Run Query" button. 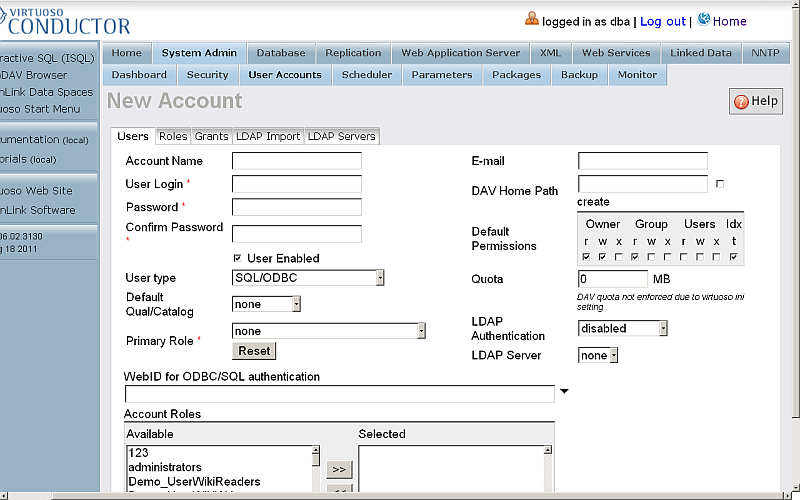 In the OAuth Authorization Service form, enter the password for user demo1 and click the "Login" button.